Bashkirian honey is one of the world’s best honeys. This honey is produced in Bashkortostan; the bashkirian region located on the natural border of Eastern European plain and Siberia famous for large diversity of bee plants. It has a stronger aroma and unique taste. Bashkiria is the linden capital of the world (it is the main bee plant of the Republic). 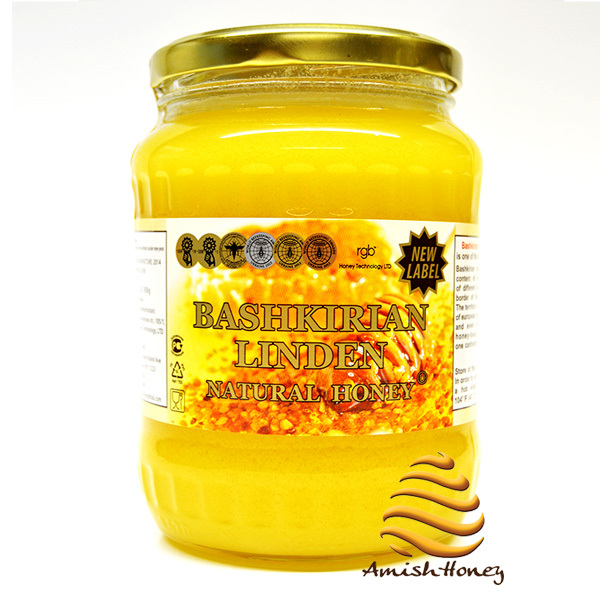 Made by a different kind of honey bee; the pure wild European black bee, Bashkirian Linden honey is organic nutritional daily food supplement rich in enzymes, vitamins, mineral, and amino acid. Each flavor has its unique qualities and taste. As another plus, linden honey crystallization is rather late, so the color and consistence remain amazing for a long time.